Vector portrait of American actor, film producer and director Jack Nicholson, famous from iconic films as One Flew Over the Cuckoo's Nest, Easy Rider, Chinatown, The Shining, Reds, Batman, Terms of Endearment, As Good as It Gets, Anger Management, A Few Good Men, About Schmidt and The Departed. Duo tone style vector portrait of the iconic actor Jack Nicholson. The red and blue color scheme can easily be changed to suit your tastes and the hand-sketched style gives it a touch of personality. Download the free stock image for your fan websites, pinups, wallpapers and personal designs. 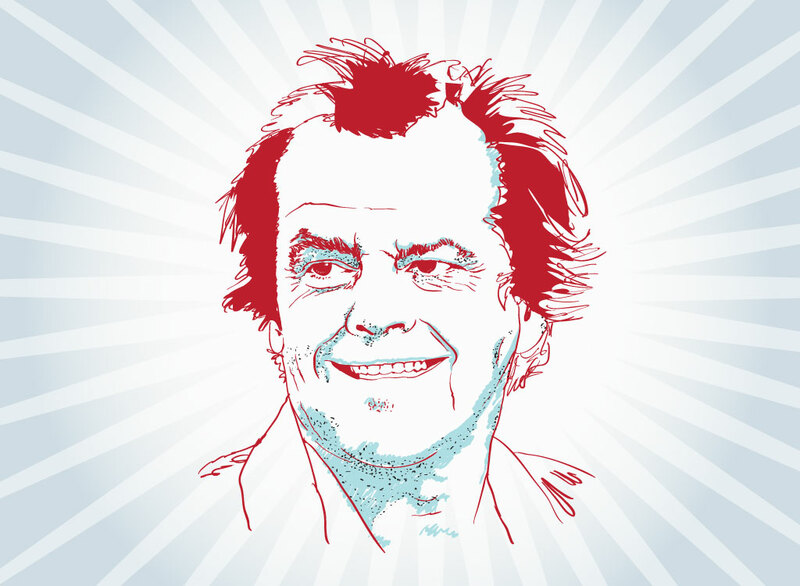 Tags: Actor, Film, Hollywood, Jack Nicholson Vector, Movies, The Departed.